A.R. 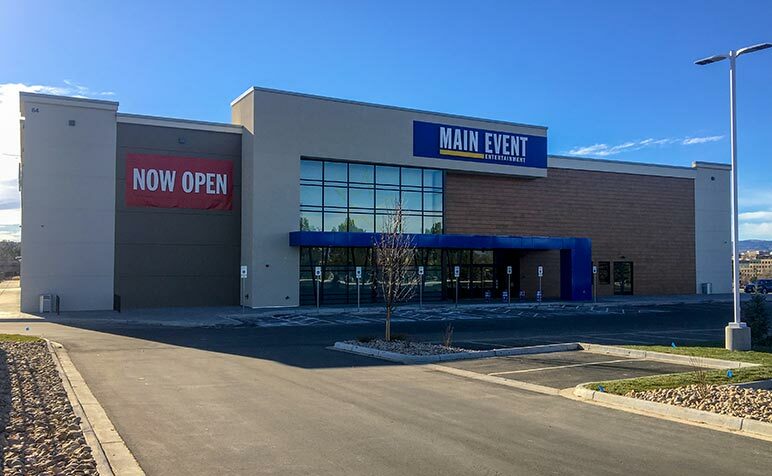 Mays Construction recently completed the Main Event Entertainment in Highlands Ranch, Colorado. The 49,885 SF tilt-up concrete entertainment center included 22 bowling lanes restaurant, one bar, café, two-story laser tag, gravity ropes, arcade, billiards, corporate events capabilities, meeting rooms and party area. This was the seventh Main Event that A.R. Mays has built.